Clearance: 35mm Horz. x 36mm Vert. 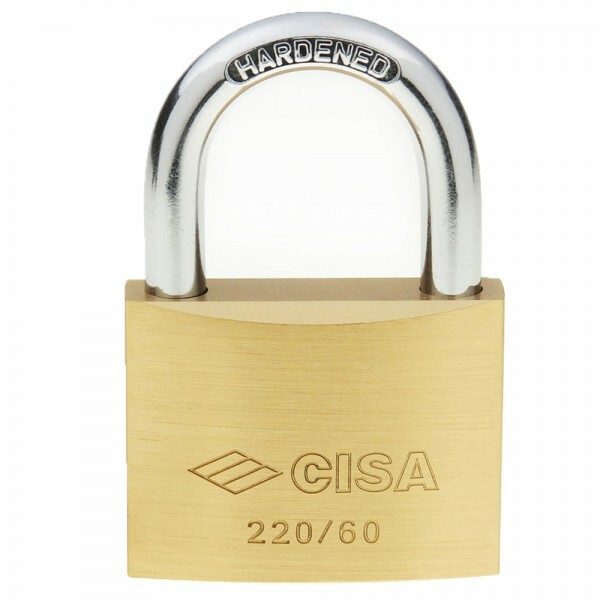 Cisa 220 is a brass padlock with a hardened steel and 5 pin mechanism. Does not require key to be locked.